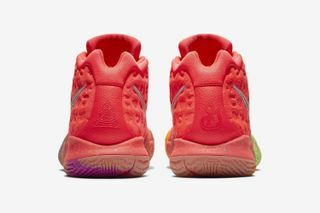 Key Features: Custom-branded insoles with graphics that relate to the cereal brand, along with cereal brand logos on the tongue. 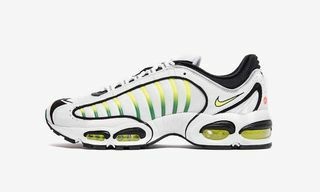 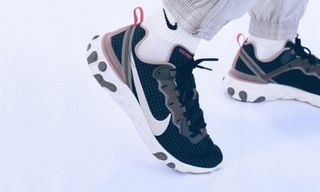 Mixed material construction consisting of mesh with leather and suede accents, covered in the cereals’ signature colors, distinct branding on the heels, Zoom Air cushioning. 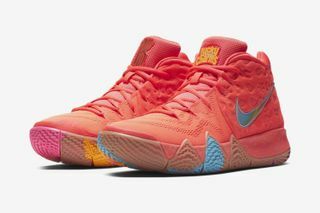 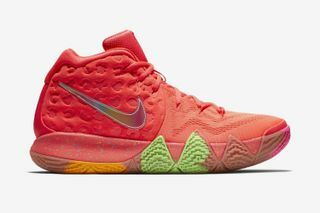 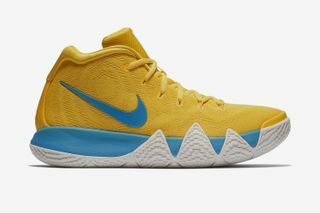 Editor’s Notes: Kyrie Irving teased a cereal-inspired sneaker with the “Wheaties” Kyrie 4 earlier in May, which indicated forthcoming cereal-inspired iterations of Irving’s fourth signature sneaker. 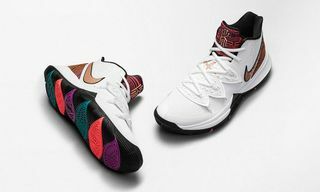 Truly appreciative of this opportunity and I would like to thank @generalmillscereal @nikebasketball @lionsgate @pepsi. 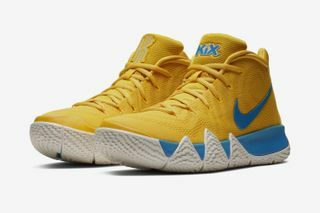 The Uncle Drew Movie comes out June 29th, make sure to check it out. 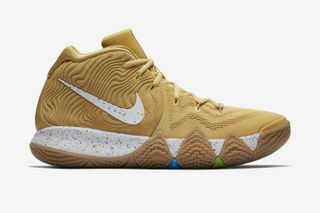 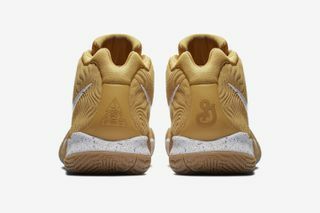 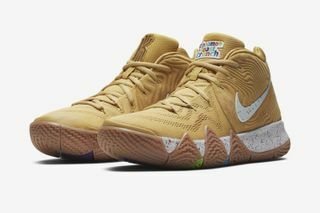 While the Wheaties pair is not expected to release to the public, three other tasty variations will, including the “Cinnamon Toast Crunch,” “Kix” and “Lucky Charms” edition, which Kyrie debuted last weekend at Team USA Basketball’s minicamp in Las Vegas. 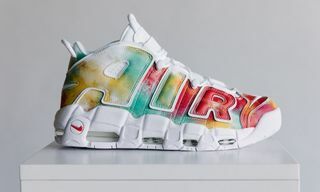 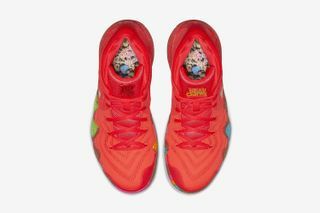 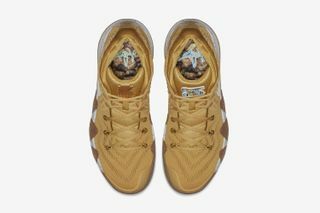 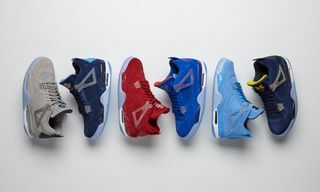 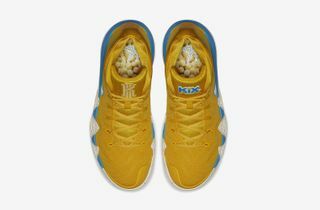 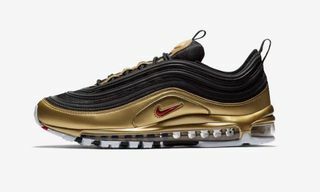 The limited sneakers essentially take their colors from the cereal box, along with custom insoles bearing an image of the cereal, in addition to branding located on the tongues. 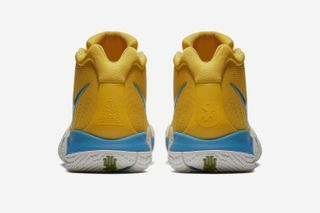 Now, here’s how to find the best Nike running shoe for you.